Please find below my commission price list. These are for Pet Commissions. If you're wanting something I paint regularly like my highland cows or sheep etc. I generally charge the same price I'd sell them for, as I am not working from a photograph and am able to use my imagination. 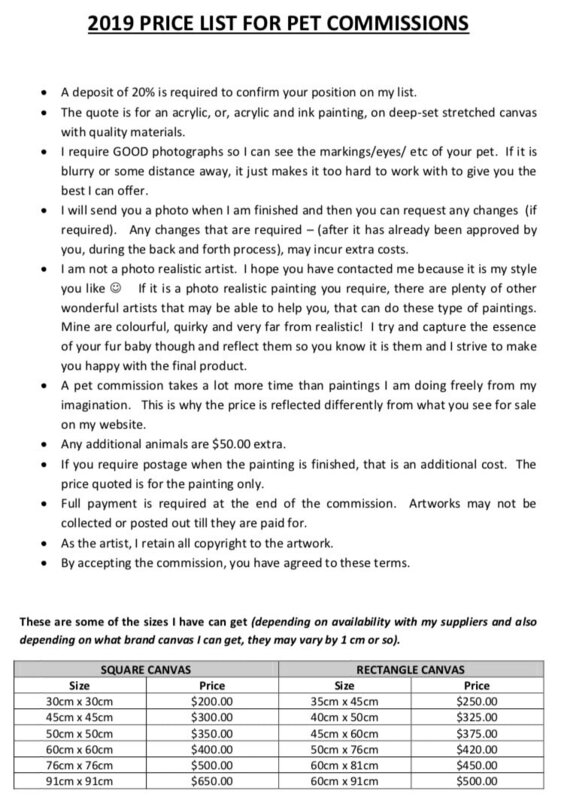 Pet Commissions are a lot more work and are priced accordingly.